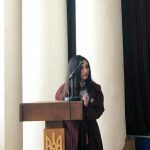 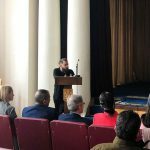 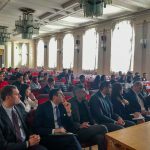 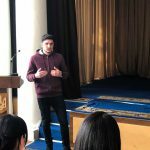 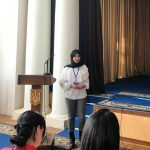 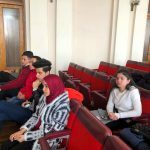 On the 15th of March, 2019 the Second meeting with international students was conducted in the Ministry of Education and Science of Ukraine. 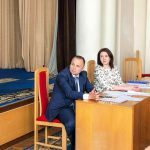 Deputy Minister of Education and Science of Ukraine Mr. Roman Greba and Director of the Ukrainian State Center for International Education Dr. Olena Shapovalova headed the meeting. 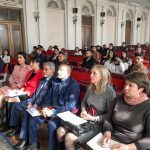 Representatives of the Information and Image Center and the Ministry of Foreign Affairs of Ukraine joined the meeting as well. 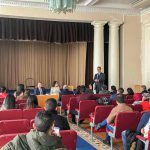 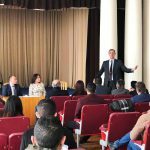 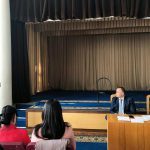 According to the discussion many questions had been raised, in particular which relates the quality of medical education, vocational examination “KROK”, recognition of educational documents. 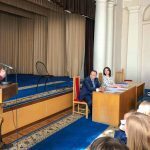 International students were informed about possible changes to the legislation, which concerns different aspects of education in Ukraine. 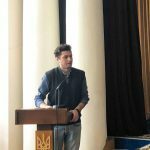 These changes will be represented during the Second Ukrainian International Education Forum on the 26-27th of March in Kyiv. 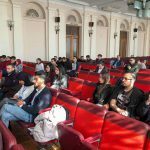 Representatives from the Embassies of Morroco, Egypt, Jordan, Palestine, Lebanon participated in the meeting with Arab students as well.